If you’re a peanut butter fan, then Peanut Butter Breath might become one of your favorite strains! Don’t be deceived by its smell which is a bit more on the herbal side; this strain didn’t get its name from thin air. Its terpene profile gives it a nutty and earthy taste when you exhale. Almost immediately the effects of Peanut Butter Breath will sink in, starting with a cerebral lift before spreading throughout the rest of your body in tingly waves of energy. These tingles start in the back of your neck and spine before spreading their buzzing tendrils throughout the entirety of your body, leaving you hopelessly relaxed, kicking back without a care in the world – that is, until the munchies hit. 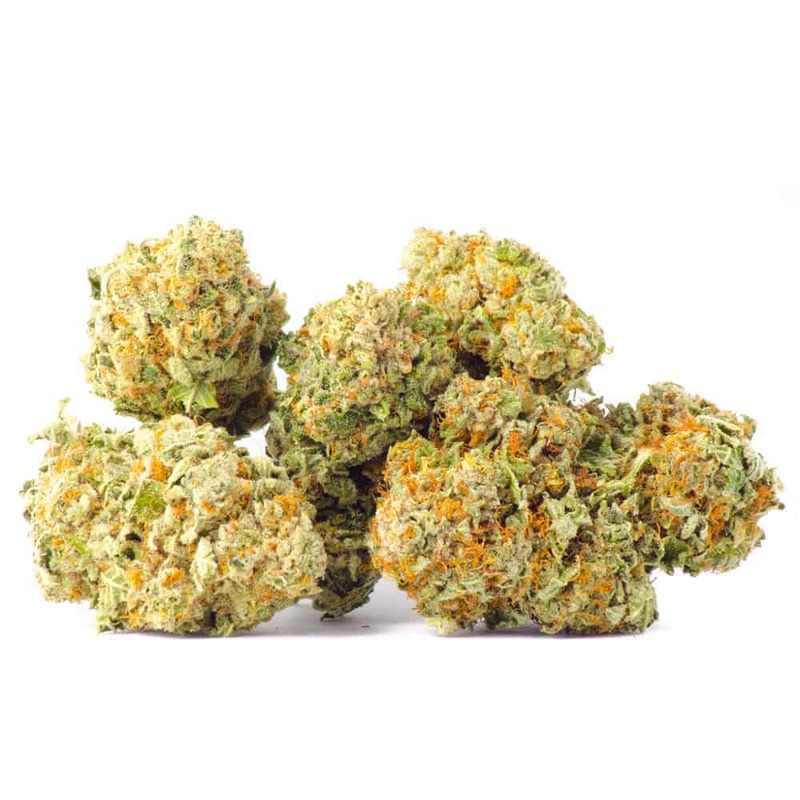 Though this strain is classified as a 50/50 hybrid, meaning it supposedly induces balanced effects of both sativas and indicas, many consumers have experienced a stronger indica sensation that make them feel lethargic and hungry. It’s a good idea keep some snacks handy when smoking this strain. 4 reviews for "Peanut Butter Breath – Hybrid"
Wow this really has a peanut butter taste and smell to it! Smokes really nice give this strain a try. Honestly I wish I had bought more then one gram of this! This strain put me right to sleep and helped so much with my insomnia! I’m glad it’s still in stock because I’m so happy I am able to grab more!!! Oh wow, this is some quite phenomenal bud. Unique, tastes great!